There can be little doubt that the SA economy today is not in the kind of state that makes doing business easy. According to Stats SA, the economy slipped into recession during Q2 of 2018, shrinking by 0.7% quarter-on-quarter, something which followed a revised 2.6% contraction in Q1. Although Stats SA then reported growth of 2.2% in Q3, ‘FocusEconomics’ analysts are still only predicting growth of 1.7% in the whole of 2019, and just 2.1% in 2020. With the economy in a state that can generously be called 'sluggish', it's no wonder that businesses are trying to do more with less. One of the best ways, of course, is to boost your employees' productivity. If you can enable them to do more in the same amount of time, you will gain a lead on your competitors. The question is how to achieve this without it leading to employee burnout, and the answer lies in leveraging the latest technologies to enable your employees to be more efficient and productive. After all, it is quite easy today to deploy simple technologies that help employees become more engaged and productive, no matter where or how they work. Moreover, as work becomes more dynamic, people need to become more adaptable and therefore require tools which allow them to work wherever and however they choose with a secure, contextual and unified experience anywhere, on any device and any network. Not only does this allow them to be more productive, but by allowing them to be as dynamic as the environment in which they work, it significantly improves their overall happiness with their job – and happy employees are inevitably more productive ones. Think about it: high-performance devices, improved connectivity and the explosion of innovative applications enable mobile workforces to have both flexible schedules and geographic locations. Whether your staff are travelling to meetings, out on sales calls or working from home, they are able to stay in touch, be productive and make use of company resources. Furthermore, new technologies lead to new ways of working, and new products and services that can be offered to customers. It is also worth remembering that the results of the digital revolution now favour those businesses that trust employees with flexibility, and that give them personalised tools to boost their productivity, engagement and creativity, as it positions them to recruit, retain, and empower the best talent. Although everyone understands the benefits of mobile, there is another technology that also offers enormous potential to organisations seeking to boost productivity. The software-defined wide area network (SD-WAN) is experiencing explosive growth at present, with no less than Gartner estimating that SD-WAN sales will be worth about $1.25 billion, with a compound annual growth rate of 15%. For one thing, SD-WAN offers increased bandwidth at a lower cost, affords better control, delivers much simpler network management, and reduces overall operational expenditure, which talks directly to the two things companies are most concerned about – productivity and cost. It should be clear that by boosting network performance, SD-WAN also bolsters productivity across offices, as well as lending agility to businesses that want to roll out strategies to promote sustainable growth. Essentially, SD-WAN is a future-proofing plan for an enterprise network – and the company as a whole. SD-WAN not only enables business applications to perform better, it reduces network downtime and enables business critical applications to be prioritised on the network, to ensure top performance at all times. It also facilitates the automated provisioning of new premises in mere minutes, with no special expertise required. The economic doldrums we are currently experiencing are not going to go away anytime soon, but for those enterprises with foresight and focus, it should be clear that leveraging new technologies like SD-WAN to boost productivity and reduce costs can go a long way towards easing their burden. 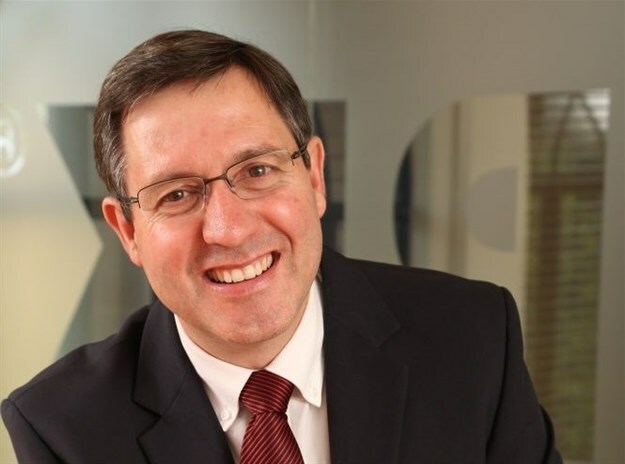 Brendan McAravey is Country Manager at Citrix South Africa. McAravey is responsible for the growth and development of Citrix operations across the southern African development community, driving revenues, generating new business opportunities and cultivating the company's valued partner ecosystem.